This item is temporarily unavailable! 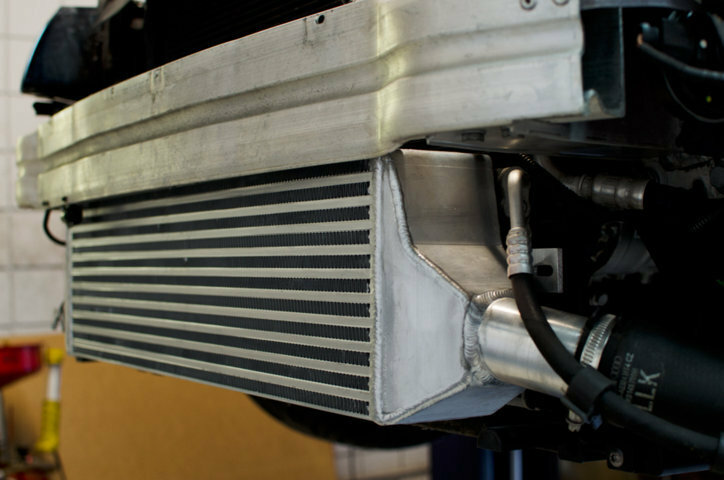 Keeping your intake temperatures cool is of vital importance when it comes to performance. 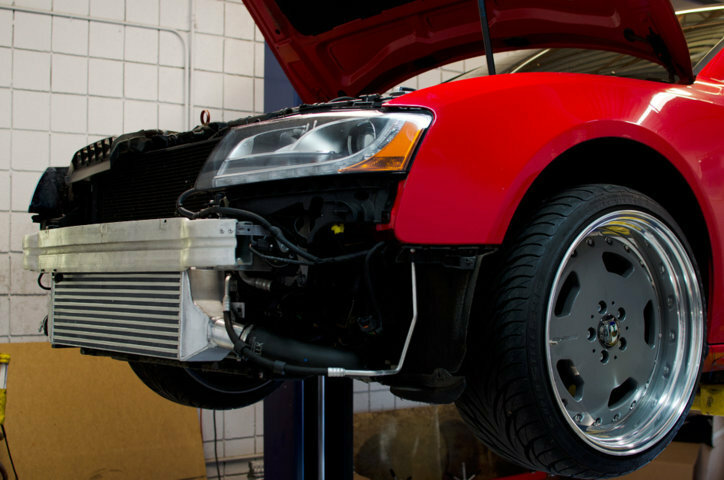 There is no better way to do this than with a larger and more efficient intercooler. No matter how much boost you are making, or what size turbo you are running, once those temps start to climb, power is lost. The flow-capacity of our core, at an acceptable pressure-loss and thermal efficiency, at 30 psig is about 750 CFM. 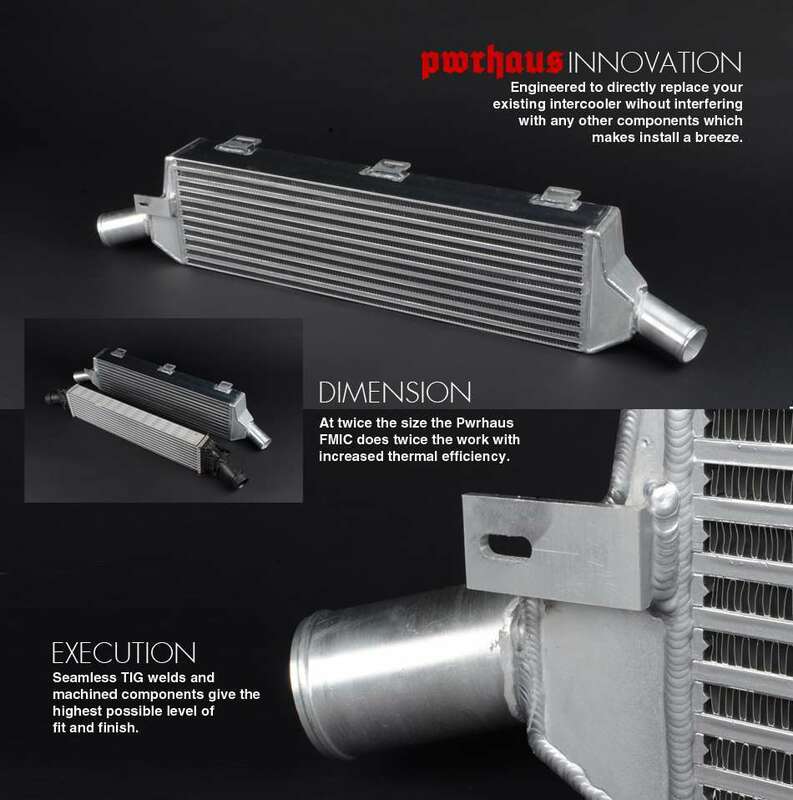 Prevent that power loss with the new Pwrhaus B8 A4 / A5 Intercooler. This is designed to be a direct replacement unit for your much smaller factory part. 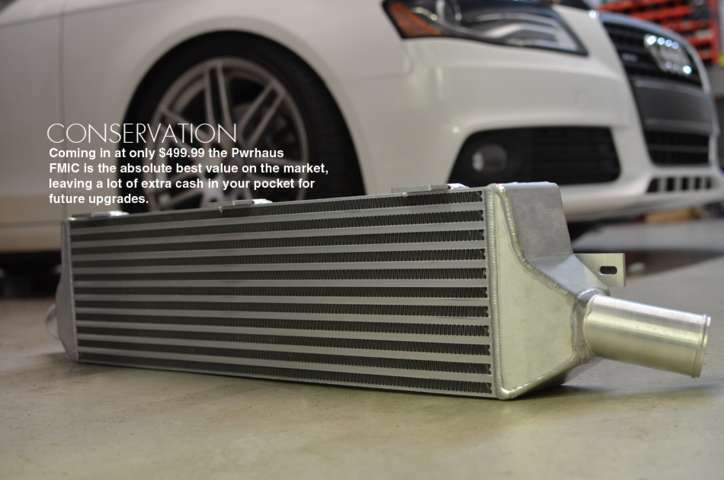 * Simply remove and replace with the significantly larger Pwrhaus intercooler. Coming in at almost twice the size, this part does the job. Pwrhaus - 28" x 7.75" x 3.75" for a total of 813.75 cubic inches - more than twice the volume! All B8 A4 & A5 models with 2.0T engine. Pwrhaus FMIC's must be secured to the bumper rebar by the three tabs on the top of the FMIC using self tapping screws (not included).